.925 sterling silver seahorse dangling earrings with french wire closures, made in the U.S.A., from Apples of Gold Jewelry. 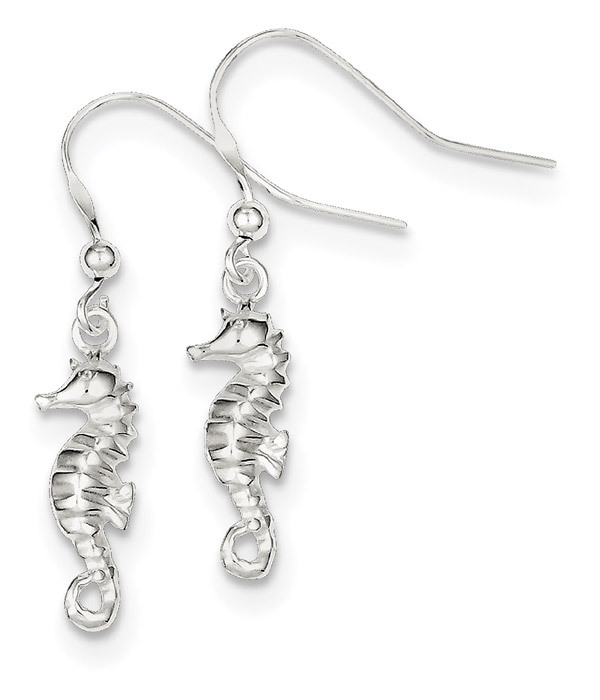 The silver seahorse earrings measure 1 5/16" tall (including french wire closures) x 1/4" wide. We guarantee our Silver Seahorse Earrings with French Wire to be high quality, authentic jewelry, as described above.